Sophia Coombe was one of 22 young performers who won a Razzamataz Theatre Schools award through The Stage Scholarships scheme last year. For 2016, Razzamataz is returning as a partner for the sixth time with a bumper 40 places up for grabs across the UK. Each scholarship, offering the equivalent of a year’s free study to the lucky winners (aged between six and 17), is worth up to £800 – a commitment of £32,000. The schools can be found the length and breadth of the country – including Yeovil, Medway, Sheffield and West Cumbria – with new ones in Canterbury, Newcastle, Hackney and Wimbledon all launching this September. Denise Hutton-Gosney set up the company in 2000 and since then Razzamataz’s approach to training has proven very successful. In 2007, she was a participant on BBC’s Dragons’ Den, where she met entrepreneur Duncan Bannatyne, who continues to play an active part in the company. Hutton-Gosney is keen to stress how much the children attending the classes are benefiting from the performance skills being taught, whether or not they want to pursue a career in the arts. That doesn’t mean that Razzamataz students don’t get a taste of the professional side of the industry. Hutton-Gosney is supported in her venture by a host of qualified professionals and figures from different areas of the industry. Students also get the opportunity to be involved in gala performances at Her Majesty’s Theatre in the West End. 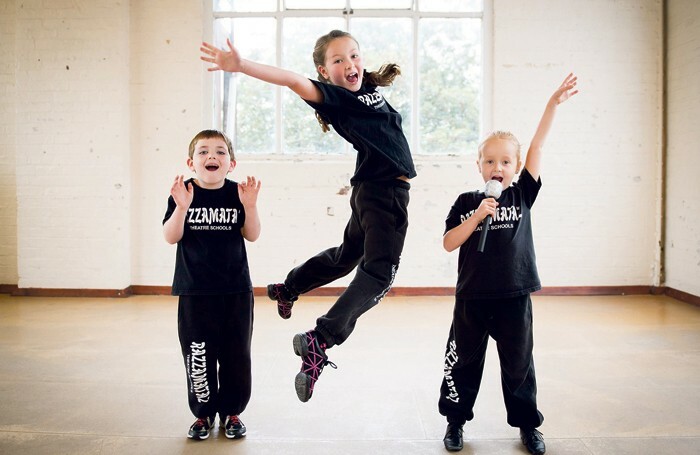 For the past few years Razzamataz has been working with Top Talent Agency through which a number of children have secured high-profile work in West End shows such as Billy Elliot, TV and film, and commercial work. Eleven-year-old Kai Savage (a 2015 scholarship winner from Razzamataz West Cumbria), for example, was recently cast in the children’s TV series The Tale of Mr Tumble, alongside Justin Fletcher. Hutton-Gosney’s plans to help aren’t limited to The Stage Scholarships either. Another scheme, the Future Fund, designed to support graduating Razzamataz students to train at performing arts colleges, is now in its second year. To be in with a chance of winning one of The Stage Scholarships, all you have to do is fill in the form online, stating why you want the scholarship, and demonstrate what you have to offer with a two-minute video of yourself performing. Don’t worry if your demo isn’t professional standard – raw talent and promise are what Razzamataz is looking for. Susan Elkin: Do we really need to train more theatre directors?